Or... watch on TMTube - the premier spot for all TrackMania videos! This is one of the best videos I've seen so far -- made by SiH13 from the TrackMania Community... and mind you, this is during the BETA! I can't wait to see what comes after the game's release! 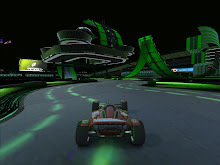 TrackMania 2 Canyon beta: Want in?! Preorder!! !